NOW, call me naïve, but I assume everyone wants these things, right? Right? And, like me, you've probably got your fingers crossed that someone else is doing something about them, right? Umm, not quite so right. It is true, there are plenty of people doing amazing things to ensure people realise their human rights and live a life of promise, of means and a life where they can be healthy, supported and safe. But it doesn't hurt to give these things a nudge and today, my bloggy friend, is your day to vote. 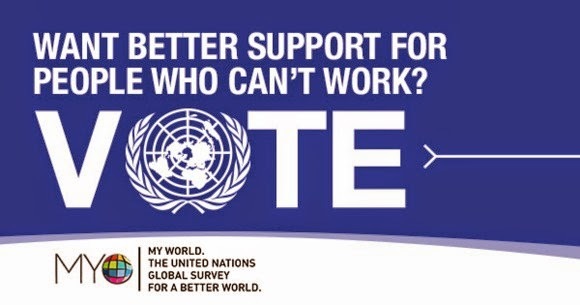 Today, the world is taking a vote all the way to the United Nations. It's the first global vote of its kind and the magic of the 'interwebs' will give people a say in shaping a better world. 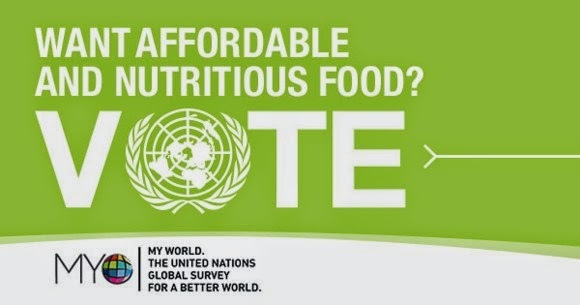 The My Vote movement calls on you to tick the six things you think governments around the world should be working on. They're things like the environment, education, healthcare, efficient transport systems, accountability and transparency and even things we take for granted, like phone and internet access. 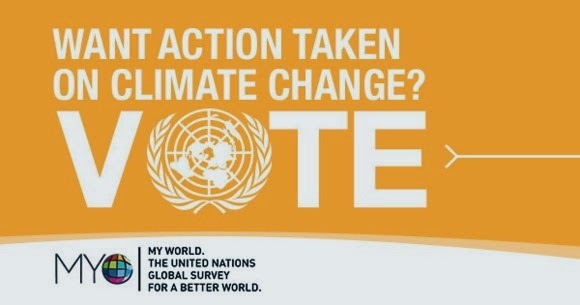 You pick six things that matter to you, tick them, and you're done telling the United Nations (no less) what kind of world you want for yourself, your family and your family's families. I am privileged to have made my vote already. 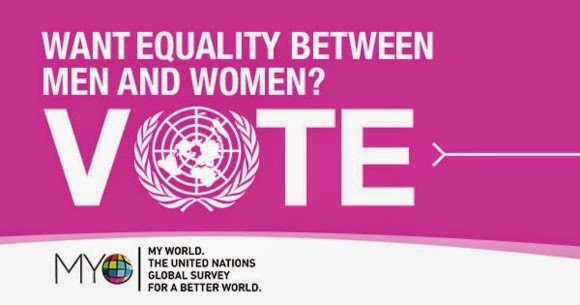 As an adult leader of Girl Guides Australia I have helped girls and young women voice the kind of world they want to grow up in using the My World voting platform and continue to help them advocate for change, face-to-face, at a local, regional, state, national and even international level. I am always surprised by their passion, but never, ever by what they can and have achieved. I believe, naively if you will, that if you want to change the world you have to roll your sleeves up and get in there, and that you can start any day you're ready to. How about today? And, if today's not your day, here's some things that might inspire, or at the very least, offer up hope when there seems to be none. Share your herbs and bring health, happiness and keep money in people's hip pockets. Make a mess, throw stuff away and still do good things for the planet. It takes so very little effort to make a difference - good or bad. You choose. That same effort can be modelled in the next generation. Again, you choose. Look fine with a fashion company supporting traditional Ghanaian textile traditions. See the film Girl Rising at a fundraiser that protects Nepalese children. To do good work one should not speak on behalf of the people but empower them to speak for themselves. This Mother's Day, give your mum the Best.Present.Ever. That's a great post Katie...I have made my vote and thanks for sharing that opportunity.